Azed is the pseudonym of Jonathan Crowther. Born in Liverpool in 1942 (a doctor's son), he was brought up in Kirkby Lonsdale, Westmorland. He was educated at Rugby School and Corpus Christi College, Cambridge, where he studied Classics and Classical Philology. He joined the Oxford University Press in 1964 and worked for OUP for 35 years, in India, London and Oxford, latterly as a lexicographer in English Language Teaching Division, before retiring in early 2000. He is married with two sons. He became a devotee of Ximenes in 1959 and in March 1972 succeeded him as crossword setter for The Observer. 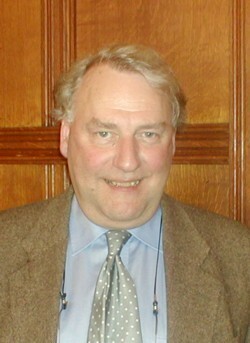 Previously he had set puzzles for The Listener under the pseudonym of Gong, and for Varsity, a Cambridge University weekly. He lives in Lower Radley, near Oxford, and his interests include amateur theatricals, travel, tennis, golf and armchair cricket (he is a passionate follower of Lancashire County Cricket Club). The Azed Crossword appears in The Observer every Sunday, with prize competitions on the first Sunday of the month and the Sunday nearest to Christmas. The Azed honours list awards points for 1st, 2nd and 3rd placings in the monthly clue-writing competitions, as well as for VHC (Very Highly Commended) clues. A full listing of clues and detailed comments by Azed are available in the monthly Azed slips. These date back to the start of the Azed series in 1972 and continue a tradition begun by Azed's predecessor Ximenes. Each month's slip lists the winners of the latest competition and their clues (as well as their addresses), and gives subsidiary lists of VHCs plus their clues, and HCs (those Highly Commended). Once a year the Slip includes the Annual Honours List of competitors who have accumulated the most points (2 for a prize, 1 for a VHC) in the course of the year. A silver salver is passed on each year from the holder of first place in the Honours List to his or her successor, and a small silver cup is likewise passed on from the winner of each monthly competition to the next. Each Slip also includes Azed's comments on the current competition and his ideas on crosswords in general, giving advice on clue-writing and answering solvers' queries, which are always welcome. In this way a unique and continuing dialogue between setter and solvers is maintained. Every five years or so, 'milestone' numbers in the Azed crossword series are marked by dinners for solvers and their partners and friends. 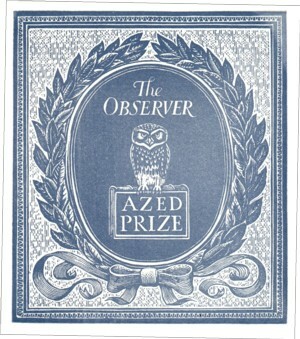 The Slip subscribers' list is used to inform solvers of these events (which are also announced in the Observer), enabling keen solvers to meet each other and Azed. The Slip is available on subscription (13 issues - 12 monthly competitions and the special Christmas competition) for details of subscriptions contact bh@thecrosswordclub.co.uk . Subscribers normally receive copies within three weeks of the relevant competition. All subscriptions become renewable on 1 September. To subscribe to the AZED slip send a cheque for £13 to The Azed Slip, Coombe Farm, Awbridge, Romsey, SO51 OHN.